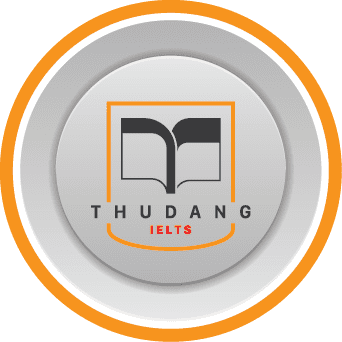 IELTS Thư Đặng- tổng hợp và cập nhật mới nhất đề thi IELTS tháng 9/2016. Đề thi IELTS Writing Task 2 ra đợt ngày 15/9/2016 có vẻ khá khó đối với các bạn thí sinh nhà mình. Tuy nhiên, các bạn đừng lo nhé, chủ đề lần này về " smoking" rất quen thuộc mà chúng ta đã được học trước đó từ rất lâu rồi, đề bài lần này có hơi nâng cấp và chi tiết hơn so với đề mà chúng ta thường ôn ở nhà.
" Smoking should be banned in public. Do you agree or disagree?" Overeating, the same as smoking, has a negative impact on people’s health, and therefore some people advocate that certain food advertising should be banned. While unhealthy diet habits are detrimental to people’s condition, I disagree that the government prohibits these food-related advertisement because there is no direct relation between overeating and food advertising. It is undeniable that prohibition of some food products promotion can help tackle a few healthy problems such as obesity which is said to be a big threat among young generation. TV advertising gives foodies more opportunities to keep them posted with latest food products. This means people will tend to try new flavours and sometimes buy much more than they really need. As a result, they might get too much sugar and oil and get obesity. What’s more, the obesity will lead to other disease like heart attack. For example, forbidding Tim Tam biscuits that contain a great amount sugar are more likely to help solve these problems. On the other hand, overeating does have damaging to people’s physical condition. However, there is no evidence to prove that these certain food-related advertising will give rise to overeating. People’s preference will not change just because of certain advertising. Even if the picture of cake looks really tasty, someone who dislikes sweets will not buy this cake. Also, every one has their own preferences on choosing what kind of snacks or cuisines. Whatever we eat is over certain amount will put a threat to our body condition, but it is impossible to ban all the food advertisement. In conclusion, the prohibition of certain kind of food advertising can help solve some problems, but unhealthy diet habits are not developed by food products promotion. Thus it is unnecessary to ban the advertisement.